Ensuring your print is kept in the safest and best condition possible. At Tewkesbury Printing we don’t just print, finish and mail we also provide a storage facility. If you have limited space at your own office or business, but need large print-runs for your ongoing supplies, we can help. 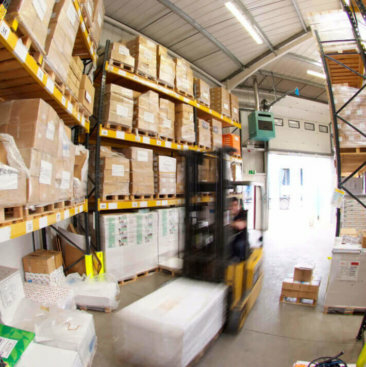 We offer a temperature-controlled, warehouse storage facility on our premises. This ensures your printed products are kept in good condition and none of the quality is lost. 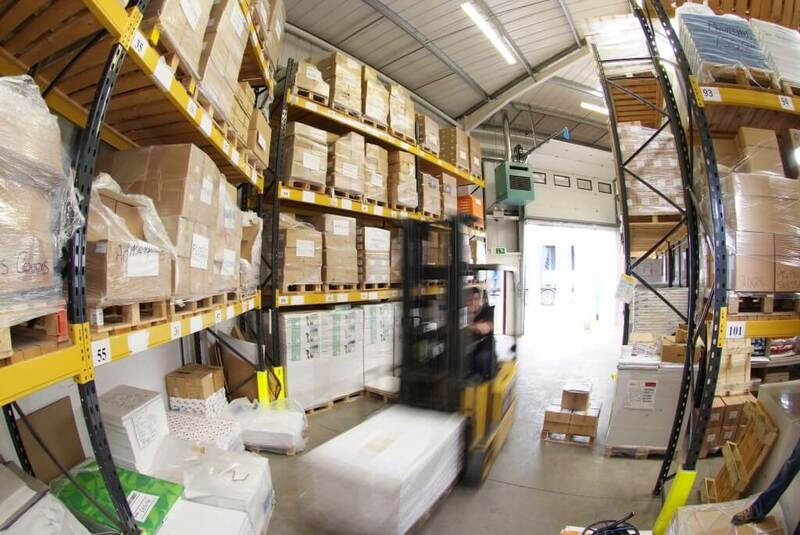 We have a capacity of 300 shelving bays and pallet spaces combined in a purpose-built, self-contained area. You are allocated your own ‘bin’, or pallet space and you can use items from your stock with just 24 hours notice. We will select your items, pack them for you and despatch them the next day – either by overnight courier or using our own fleet of delivery vehicles. Our vans are all fitted with tracking devices so we can manage your deliveries to the minute! Please contact our sales department for further information on 01684 850666 or email us, sales@tewkesburyprinting.com.